“How to get the word out” is the word that comes from a lot of folks trying to tell others about their survivalist resources. This could be anything from all out survivalist supply stores, food & seeds, radio and communications, web sites, blogs, survivalist forums and so forth. We have had a good amount of success in attracting traffic (visitors) from the survivalists and those seeking more information about survival. You know, the news alone should tell you what an old pastor friend once told me, “Don’t get ready, be ready!“. 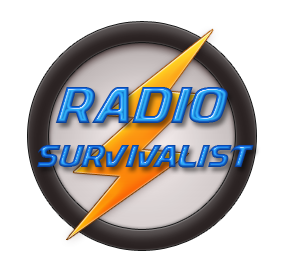 So what we are doing not is making spots on our web site so that others can advertise their goods and services here on RadioSurvivalist.com. We won’t promise you the moon but your ad page will be seen by many, many people interested in survival techniques and equipment. Click on the image at the top of this column with the word “Google” on it and you will see some of our recent traffic statistics. Between January 21, 2011 and February 20, 2011 our web site traffic has been hovering around 100 people per day. I realize these stats are a little dated but they have also grown quite a bit since this little report was written. That’s 3.01 pages per visit. Now wouldn’t it be be nice if your information was available here on our web site for them to see? Blogs, forums & non-commercial websites can get an annual listing for only $5 a year! We have several sizes of billboards designed to fit your needs and more importantly your budget. 1/8th page, you will share a page with 7 others. 1/4th page, you will share a page with 3 others. 1/2 page, you will share a page with 1 other. Pricing for the various billboards is posted below. If you have any questions at all please use our email information and contact us. All of our ad spaces are good for a period of 365 days commencing with the date your payment is received. Please note that at these low prices there are NO REFUNDS for these fees.